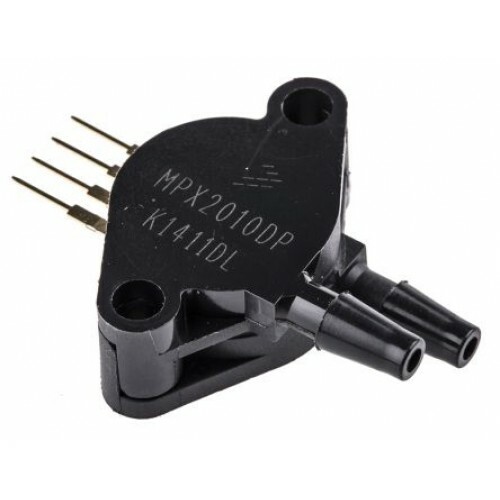 The MPX2010DP is a differential, dual port silicon pressure sensor in 4 pin SIP package. 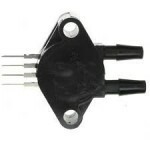 This piezoresistive pressure sensor provides very accurate and linear voltage output directly proportional to applied pressure. 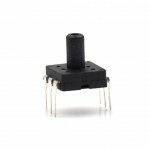 It includes on-chip integrated strain gauge and thin film resistor network. 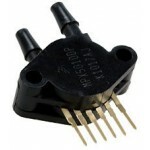 The sensor is laser trimmed for precise span, offset calibration and temperature compensation.